At Salon130, we aspire to inspire! What leads to a successful hair salon visit? A dedication to education. Education and training are foundations that help foster and develop a knowledgeable, valuable, and unique salon visit for the benefit of both discerning guests and stylists alike. For these unique salon cultures are often best-suited candidates for successfully managing the constant industry challenges and never-ending style drifts of the hair industry. It’s from within a high-performance team structure environment such as this, where you’ll often find a professional salon culture is born and crafted. This elusive and much sought-after professional salon culture is a targeted goal of both guests and stylists alike – because it means their chosen hair professionals are both very good at what they do, …but are also very fast at doing it. This professional culture aids all involved by offering both theoretical exposure, but also in providing specialized cross-training of real-world opportunities for advanced skillset learning. These “teachable moments” provide the opportunity which results in significant benefit to all. This includes other experienced, and also apprentice entry-level stylists, who are within an earshot of learning something as well. These small groups of unique Hairstylists then quickly bond together, forming informal working groups, all of which helps share, accelerate, and develop their own personal skillsets well beyond the historical training norms. Next, the new talent, when matched along with this practical on-the-job support and encouragement, makes learning fun and exciting for everyone involved, with each person having received their own sense of personal achievement with their contributed individual efforts being valued either as educational subject expert, or as a learned student. 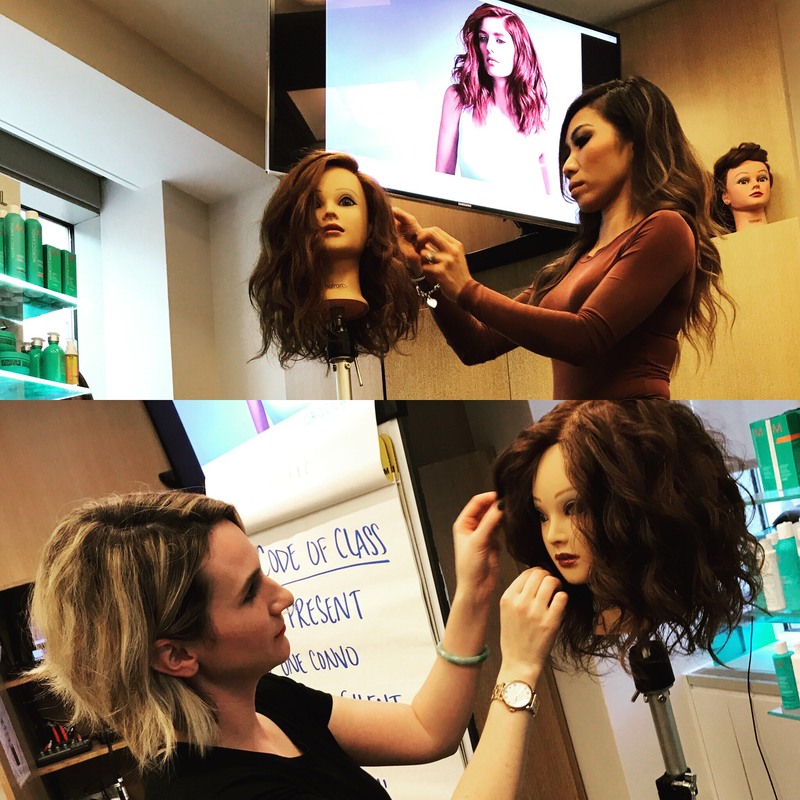 We all enjoy an invaluable educational trip to one of the many advanced continuing educational schools available to our profession; but at Salon130, we also find great pleasure in a strong in-salon class sessions conducted by our Founder Michelle and Creative Director, Shannon. These classes allow us to share in our passion as a creative team, as well as really focus on the strengths and weaknesses of each member, helping each team member grow into strong, well balanced Hairstylist. This summer for example, we hosted multiple staff learning days which included a morning of Updo’s as instructed by Michelle in preparation for our busy wedding season. We also studied the strong trend of textured lobs and beachy waves, but our main focus for the summer/fall was the ever-growing demand for the advanced colouring service, Balayage. 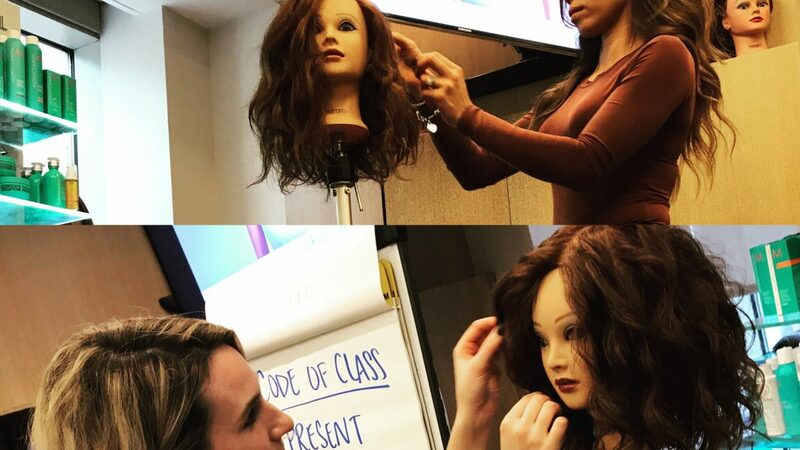 We focused on a 4 tier lesson plan for the team, which involved Look & Learn Demonstrations with Shannon, as well as hands-on freestyle hair painting sessions with real models. The professionalism and dedication from Salon130 ’s high performance team really shined through as they arrived at 9:00am every Sunday morning, Starbucks in hand, for the entire month of July. Having these in-salon sessions helps us reinforce a culture of both teamwork but also in specialized educational techniques. As a guest of Salon130, you will often see stylists consulting with each other on your perfect colour formula, or perhaps the best tonal placement(s) for your skin colour and/or head shape, all to ensure you get the best New YOU! In summary, a professional salon culture is one that embraces each Stylist’s personal and creative style, and yet uses our collective differences to build a diverse repertoire of specialized and well-honed skills and techniques for our chosen craft. Call or visit us at Salon130 today for any of your next haircare needs and feel the difference with our unique salon culture. A salon where not only one Stylist is there for you, …but a dozen!